Just like with computer-generated ants, Snow White, The Wizard Of Oz, and countless others, two movie studios have inexplicably had the same idea at the same time. And, just like all of the rest, this idea comes from something that’s in the public domain. (Yes, ants are public domain. Shut up). We reported back in 2012 that Disney and David Fincher were working on an adaptation of Jules Verne’s 20,000 Leagues Under The Sea with Brad Pitt, but as indicated by the lack of Academy Awards and/or spin-off cartoons, that movie hasn’t made much progress since then. 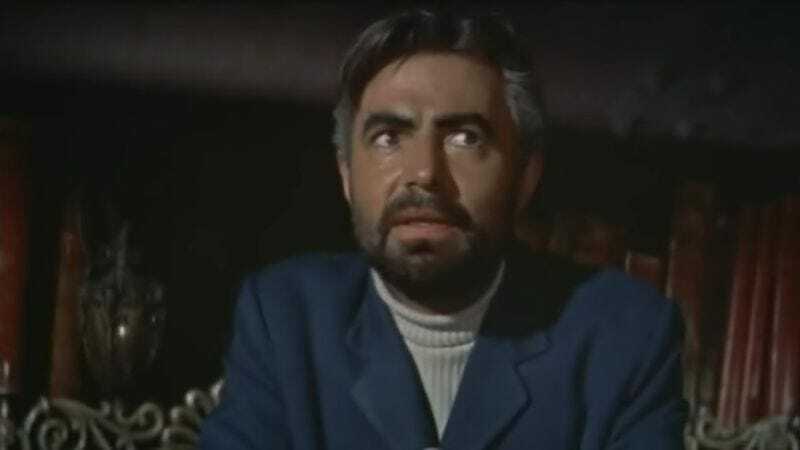 Now, though, The Hollywood Reporter has revealed that Alfred Gough and Miles Millar, the creators of Smallville, are here to fill our need for things based on 150-year-old adventure novels with Captain Nemo, a “new take” on Verne’s antihero/villain. In 20,000 Leagues, Nemo is a mad genius who dreams of exacting revenge upon the British empire with the Nautilus, his submarine. We don’t know what Gough and Millar’s “new take” will be, but we think it’s pretty safe to assume it will involve Nemo being a young and handsome man who is involved in some kind of love triangle, because that’s what everything is about these days. Either that, or he’ll be some sort of underwater superhero, since that’s apparently today’s theme.